If you’re going to spend money this season, make sure you do it in a smart way: Get your budget in place, create a list and learn all the deal-stacking secrets. And, if you shop on Cyber Monday, don’t overlook the power of online shopping portals. An excellent tool any time of year, shopping portals are particularly useful during the holiday season, when you might make more online purchases than usual. Here’s how it works: Visit a shopping portal, log in and visit your favorite retailer’s website through the portal’s link. Because they referred you, the portal earns a percentage of whatever you spend with the retailer. And here’s where it gets good: The portal then passes part of those earnings back to you. In other words, everybody wins! 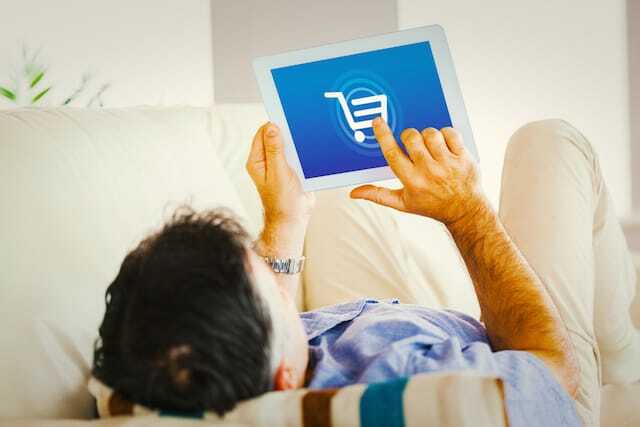 To make sure you get the benefit of going through the portal, empty your cart from the online store you plan to visit, clear your cache and disable ad blockers before visiting the portal. Once you complete your purchase, record the amount you spent and rewards you should receive — just in case it doesn’t automatically reward you. Giving Assistant might be our favorite — it lets you earn cash back while also giving to those less fortunate. For every qualifying purchase you make at more than 1,000 participating retailers, Giving Assistant donates a meal to a needy family. That’s in addition to the cash-back rewards you also get — which are often quite generous. Plus, it only takes a few days to get paid, while many other sites can take months. Best of all? They’ll give you $5 just for signing up! And on Cyber Monday, they’re offering more ways to give back: For every Amazon purchase you make, they’ll donate 2% to your favorite organization. How’s that for feel-good shopping? iGive allows you to support one of 37,000 organizations while shopping at 1,700 retailers, each of which will donate a percentage of your purchase to the charity of your choice. The average amount is 3%, though some retailers increase their donations during the holiday season. Similar to the AmazonSmile program, which donates 0.5% of each Amazon purchase, iGive contributes 0.8%. So if that percentage matters to you, iGive could be a better choice! From November 7-20, earn extra donations for referring friends to iGive. For each friend who installs the iGive button (and keeps it until February 15, 2016), the charity of your choice receives a $5 bonus. If you want to use something simple, Ebates is probably your best bet — the portal offers cash back at more than 1,700 stores. Every three months, they send your money via check or Paypal for the previous quarter’s earnings. More than 20 Ebates retailers have already confirmed they will offer double cash back on Cyber Monday. If the past is any indication, hundreds more will likely increase their incentives, as well. Best of all? They’re offering a $10 bonus just for signing up! Swagbucks is much more than a shopping portal — you can earn rewards for taking surveys and watching video clips and lots of other activities. But it’s also a great place to start your holiday shopping. You earn Swag Bucks (SBs) for every dollar you spend, redeemable for gift cards from major retailers like Amazon and Walmart. On Cyber Monday, Swagbucks is offering an extra bonus: triple SBs at 40 different stores. Miles and points junkies should check out shopping portals offered by major airlines like Air Canada, Alaska Airlines, American, British Airways, Delta, Southwest and United. Chase’s Ultimate Rewards (UR) program also has a useful portal that allows you to transfer UR points at a 1:1 ratio to 11 different airline and hotel partners. Upromise puts a smart spin on cash back. You have the option to request a check, but we recommend using their college savings program instead. With each purchase made at more than 850 stores, they deposit 5% back into a 529 savings plan for you or your child. How cool is that? And, if you have other family members who want to show support, they can shop through the portal, too. If you shop on Tuesdays through December 22, you can earn double cash back (10%) at certain retailers — triple (15%) if you pay with the Upromise MasterCard. Overwhelmed by all the options? Cashback Monitor can help. This site offers an overview of the different cash back and travel rewards available at each retailer. Simply type the name of the store into the search bar, and you can see which portal offers the best rewards. Check out these online shopping portals and pick your favorite before Cyber Monday and the holiday rush. They’re our favorite way to give back or get back — or both — with just a few clicks! Your Turn: Which shopping portal will you use on Cyber Monday? This post originally appeared on our special Cyber Monday site.